Does anyone else have a/v sync issues? It’s mildly noticeable throughout (like less than 2 milliseconds, but it’s there), and really bad in a few scenes (like when Han and Leia are arguing in the hyperspace tunnel about reward). 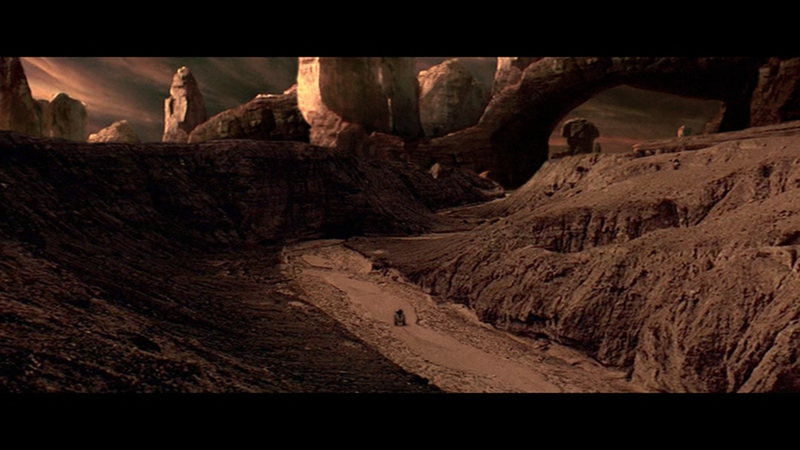 Since the PT won’t be relevant to OT:R, which canyon matte will be used for this shot that R2 travels through in ANH:RHD? 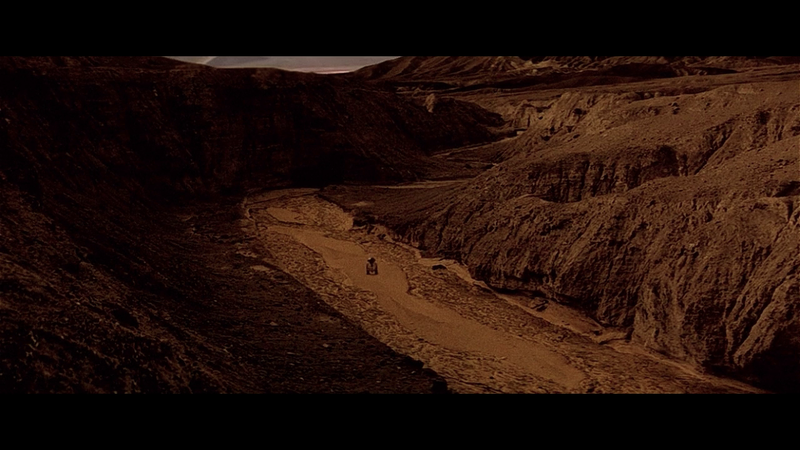 The matte for ANH:R was made to match closer to what Tatooine looked like in the PT. Just my personal opinion, but I think the current ANH:R looks great. Also, not sure if Ady has answered this, but is the Imperial March being kept in the Death Star reveal, given the full march treatment of the Death Star theme in Rogue One? I am wondering this myself. I almost feel as though “The Imperial March” should NOT be in A New Hope, perhaps with the only exception being when Vader is on the screen — the theme has been closely tied with Vader and his leadership of the fleet. However, after Rogue One, they chose to embrace the classic Death Star 1 theme (dun, dun dun dun!) and also introduced “The Imperial Suite,” which almost seems more like an appropriate theme for the Empire in the time of Tarkin. I would personally like to see The Imperial Suite in ANH:R HD, and keep The Imperial March out of it (with the exception, perhaps, being when Vader makes a move — maybe the lightsaber battle with Obi-Wan or when Vader hops into his TIE fighter). I beleive the The Imperial March is also in Solo when he is inlisting. I don’t think that the Imperial March needs to be added to that scene. Part of what I like about the OT is that not every second of screen time has to have music or something zipping around. It’s nice to allow things to be quiet every now and then and let the movie breathe and develop. I agree for the most part, but I think adding that version of the March to Vader’s entrance does more good than harm. I like it better than the full March used during the Battle of Yavin in ANH:R as it is now. Definitely not a fan of the idea. That little flourish as he enters is one of my favorite bits from the movie. And here I am hoping that someone makes alternate audio tracks with that change for practically every version of ANH I might ever decide to watch (yes, even theatrical restorations) - I love it that much! I’m glad that I don’t have an ear for music. I remember the Imperial March, the main title theme, the cantina music and that’s about all. Oh and Luke’s theme (if that’s the one with the two suns). None of the music in Solo or Rouge One is memorable to me. I tend to remember vocal songs more, like Evenessence in the Daredevil movie. That track in Rouge One that someone linked a few posts ago doesn’t say Star Wars to me at all. I listened to it 5 min ago and already forgot it. That being said, I’m for an alternate audio track that includes at least part of the Imperial March. I also want the battle droid from EP 1. I pretty much think the DVD version of ANH Revisited is already perfect and most likely don’t even want the HD version. DVD and HD/ 4K look exactly the same to me anyway. Gotta love bad eyesight and partial colorblindness. there is a wrong cutting at the run of the tantive. first the troops run through the door an then they in the hallway. at next they are at the door again. I’m glad that I don’t have an ear for music. So I’m not as picky about it as some people. Like I said, I remember some of the tracks, but not all of them. Someone did an edit of Avengers where they used the character themes from the solo movies and I couldn’t tell what was different. I put this together a while back but forgot to post it, just came across it on my PC again and thought I would share. 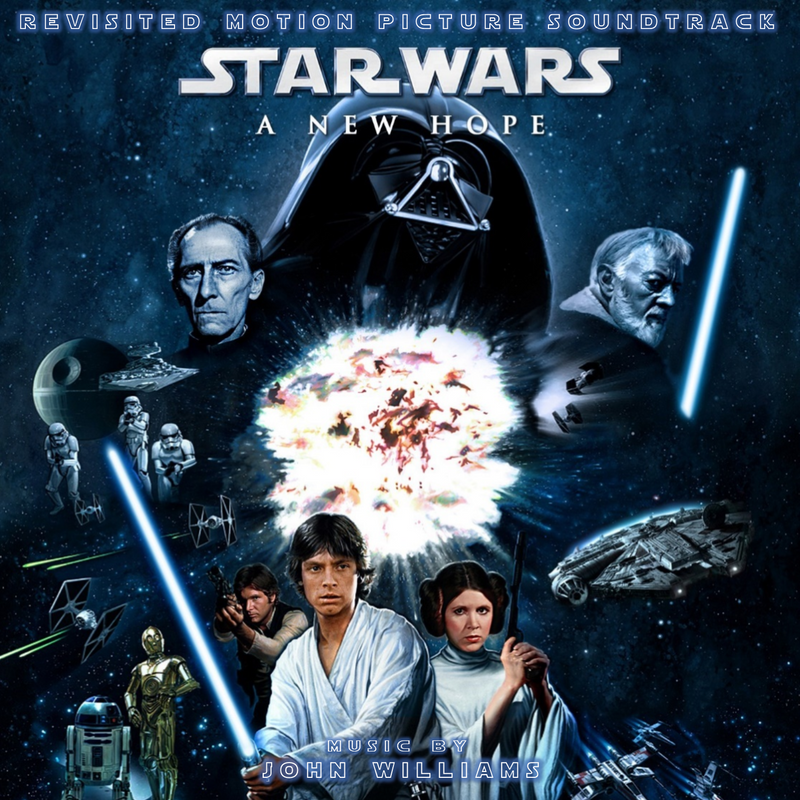 I really liked the additions of “The Emperor’s Theme” and “The Imperial March” to ANH:R and found myself missing the added music when listening to the official soundtrack, so I used Adywan’s isolated music score for ANH:R to create the soundtrack for the Revisited version. I cut the isolated music into tracks that match the official soundtrack (except having the added music of course). If anyone is interested let me know and I would be happy to share. Fingers-crossed that some of the added music stays for “ANH:R HD”! I mean, no one can blame you, I just now realized that it was probably available for a limited time a DECADE ago. Sure, I wouldn’t mind a copy. Thanks! Has Ady said much yet about the Death Star battle for ANH:R HD? I’m wondering since I really enjoyed it in the original version, but I do feel that it could be improved with using 3D renders of ships or even better, model footage of ships instead of moving around 2D images. Also maybe redoing some of the special edition shots as the CGI doesn’t exactly hold up compared to the ships in Rogue One. ESB:R seemed to be a drastic improvement in VFX work over the already impressive ANH:R, so I’m expecting some significant changes. A random thought, but is it possible to remove the blatant Ronto blocking the speeder, while keeping some of the newer elements (like the improved shadow under the speeder) in the panning wide shot right before they stop at the cantina? I’m pretty sure that’s what he did ANH:R, although I believe he did delete some of the shots, making it a hybrid of the SE and theatrical.